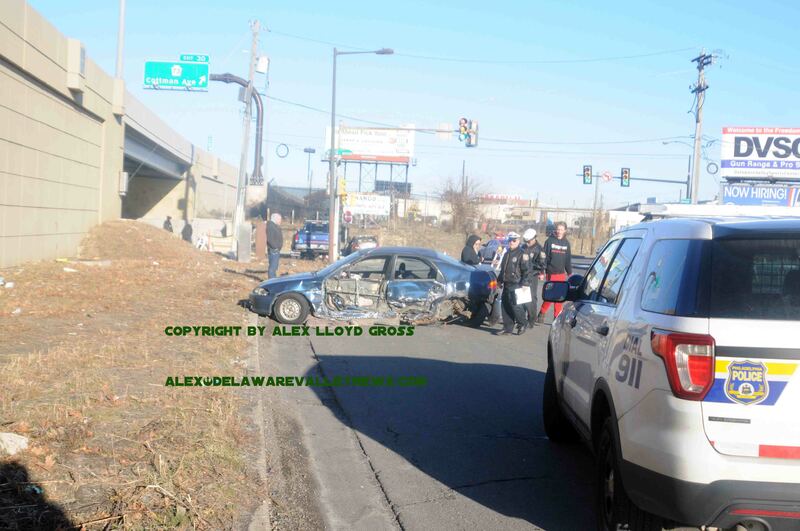 Alex Lloyd Gross Photo- Delaware Valley News.com Police at the scene of the crash on State Road. 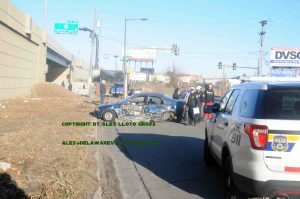 A 66 year old female from northeast Philadelphia was killed in a crash that happened Monday, January 14, 2019. Police said that the driver of the car she was a passenger in is being investigated for DUI. According to cops, 20 year old Brian Biskupski of Bristol Pa .was traveling south on State Road near Unruh Ave. The road curves at that location and there is a blind spot. It was at this location that a vehicle operated by Dawn Tilton of Frankford Avenue sideswiped the Biskupski vehicle, police said. The force of the crash sent that vehicle rotating 180 degrees, coming to rest on State Road, as the striking vehicle slammed into a brick wall. Marlys Roba , also from the 8200 block of Frankford Avenue was in that vehicle as a front seat passenger. Roba was diagnosed with serious head injuries before being pronounced dead. The vehicle that was struck had an expired inspection sticker on in.